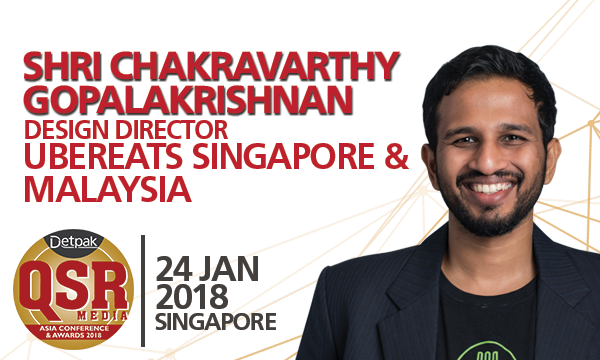 Shri Chakravathy is the general manager of UberEATS Singapore & Malaysia. Before joining UberEATS, he was the Business Head for multiple cities for Swiggy, India’s No. 1 food delivery tech company and was first brought on to launch and lead Swiggy’s expansion into Chennai. He started his career in Procter & Gamble as an Assistant Brand Manager for Oral-B in India. For 4 years, he was managing the brand for 8 APAC countries. Shri holds an MBA from the Indian Institute of Management and is also an ultra-marathoner and an avid adventure trekker. He will be amongst the panelists for the Aggregators panel in the upcoming QSR Media Detpak Conference and Awards on the 24th of January 2018 at the Grand Copthorne Waterfront Hotel in Singapore. I believe in exceptional customer experiences and solving people’s everyday problems - repeatedly and reliably to build great brands which people love. QSR Media: What interesting trends have you observed within the industry? According to the Government statistics, food and food serving is consistently the second household monthly expenditure, after housing and related expenditure and before transport! With the current penetration for food delivery in the single digits – the addressable market potential is huge. Given the huge market potential and growing demand for food delivery service, the demand for delivery partners and restaurant partners naturally increases. For delivery partners, UberEATS offers something unique; an opportunity to earn money on demand, whenever you want to. The flexibility to be able to earn according to their own time is one of the key reasons delivery partners are part of UberEATS. Also, flexibility isn’t a fad. It’s the path to a more promising future where we have more control over when, where, and how long we work. The on-demand economy empowers the average person to set his own schedule. Today, a hawker owner, a self-owned restaurant/cafe or food chain restaurants are able to leverage on technology to boost sales, generate brand awareness and grow its customer base just by being part of the digital food delivery industry. 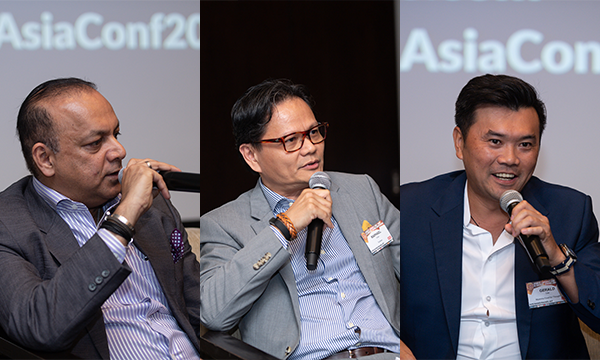 QSR Media: Can you give us a glimpse of what you will talk about at the QSR Media Asia Conference 2018? Mainly, I will discuss how UberEATS is using technology to build a reliable food delivery experience in Singapore for restaurants, customers, and couriers. It will centre on the promised variety and convenience at the tap of a button.